We’ve just been informed by West Mercia Police that Ross Loader, Malvern tree surgeon and Ledbury Hunt terrierman has been charged with ‘Affray’ today. 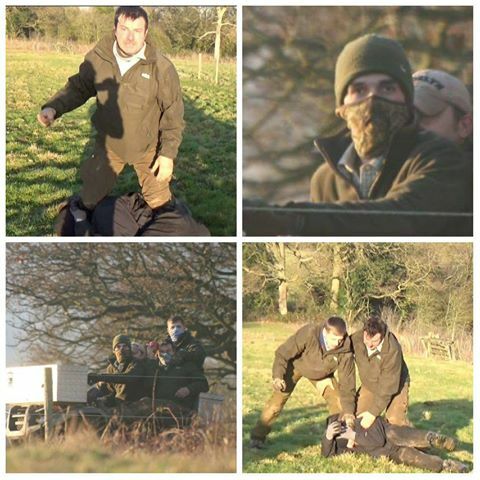 December 28th last year was an intense day with our sabs at the North Cotswold Hunt assaulted by hunt staff while Bristol Hunt Saboteurs were being assaulted by Loader and the other Ledbury Hunt terriermen and supporters. The hunt had been hunting in Castlemorton and Bristol Sabs were with the hounds when they were attacked by the terriermen. Knowing that there was a sett nearby our sabs returned to the scene, while Bristol kept tabs on the hounds. Sure enough the terriermen were attempting to dig out a fox from the sett. Angry at being disturbed they threatened our sabs and, following a short stand-off, filled in the hole they had started to dig and left. Police were called and a statement was later made. Thanks to locals who tipped us and police off with Loader’s name and fantastic work by Outpaced he was charged with affray due to his behaviour. We’re glad the police took this incident seriously. Fingers crossed that we’ll hear similar good news about the assaults at the North Cotswold Hunt!